Color Burst, and it will let you watercolor like you've never water colored before! Here's the deal, it's a highly concentrated watercolor product that will let you create really unique, beautiful water color looks! "spritz and sprinkle," it's that easy! Would you like to get a set of Color Burst for yourself...way before they're even available at retail shops? I think you're gonna love everything you can create with Color Burst...it makes you feel like an artist! YES PLEASE - I would LOVE the chance to win a BOLD & BEAUTIFUL set of Color Burst!!! I have a HUGE "smile" (chipboard word, about 18 inches long) that is waiting to be combined with a canvas and I think your product would help make it AWESOME!!! I would love to win! My friends that went to CHA just raved about this product. I would like to get into mixed media more and would like to make a collage canvas. What an awesome product! I am just starting in the world of mixed media. Watercolor has fascinated me for quite some time. I think I'm ready to take the plunge! Thanks for the chance to win these! OH, the fun I could have making cards with these beautiful colors of Color Burst, and then onto some scrapbook pages and even some tags, it would be endless amount of creativity in my little fingers with the help of your new products. Thanks for making this available to all of us wantobees. I am following this through out CHA. Love you video & wat an amazing product it is. There are so many possibilities with these bold beauties. I would love to make cards & mixed media with this rainbow of colors. Thank you for giving the chance to win. I would love to play with this product and just let the fun of experimenting guide what will be made! Thanks for the opportunity to win! Looking forward to teaching some techniques with this in a few months! Thanks for the chance to win. I make a lot of cards and can't wait until I can play with Color Burst. Oh most definitely! I would love to create with these!! Looks absolutely amazing. I'd use them for card making, tags, art journaling.... think the backgrounds for journaling would be awesome. Ken, I watched a few videos of you at CHA and I have to say, this stuff is amazing. To pick one project would be hard. I gotta try it on everything!!!!! I would love to win these burst desperately . nice video . These bursts will add burst in my crafting , thanks for chance to win. Yes please!! I would love a set of these! I saw your interview with Suze. You were demoing this product. Amazing!! I love the watercolor look. So vibrant. But for the life of me I can not do it! Perhaps this product will be my salvation?! I hope! Ken, I am so glad to have met you years ago. You are an awesome guy!!! Me too!!! I would love to play with Color Burst!! I want to explore them and definitely try them. Thanks for the opportunity to win! I would love a chance to play with the Color Burst!!! I watched the video and thought this product was amazing! I can see this being used for mixed media projects as well as cards! This is a great new product and I would love a chance to win a set! Yes Pleaze. I would Love to try these out!!! They are amazing, I love the way it flows, and merges...... I would love to make water color portraits with them, especially my daughter. Having seen these at CHA, I know I want to use Color Burst to create everything! When I saw Color Burst at CHA, I was quite excited about it! The colors are fabulous and they would be so fun to play with! I think my first project with it would be to make a bunch of beautiful backgrounds for cards. I would give the set of cards to my mother in law as a birthday gift. She gives out a lot of cards throughout the year. A box of bright and cheerful cards would be a perfect gift for her! OOhh- I am so excited to try this new product and make gorgeous backgrounds for my cards with it. Thanks for the chance to win. I was at CHA and totally intrigued. I would love to win this product. I have heard wonderful things about the Color Burst and it makes great backgrounds. My mom always bought us girls water color palette sets when we were young. We loved watercoloring. I can't wait to try out Color Bursts. The bright colors are inspiring me to start watercoloring again. Oh yes! I need these! I want these!! What would I create?? Scrapbook pages, mixed media canvases, thank you cards, etc. etc. This would spur my creativity!! LOVE the colors! These would make what ever I make that much better!!! 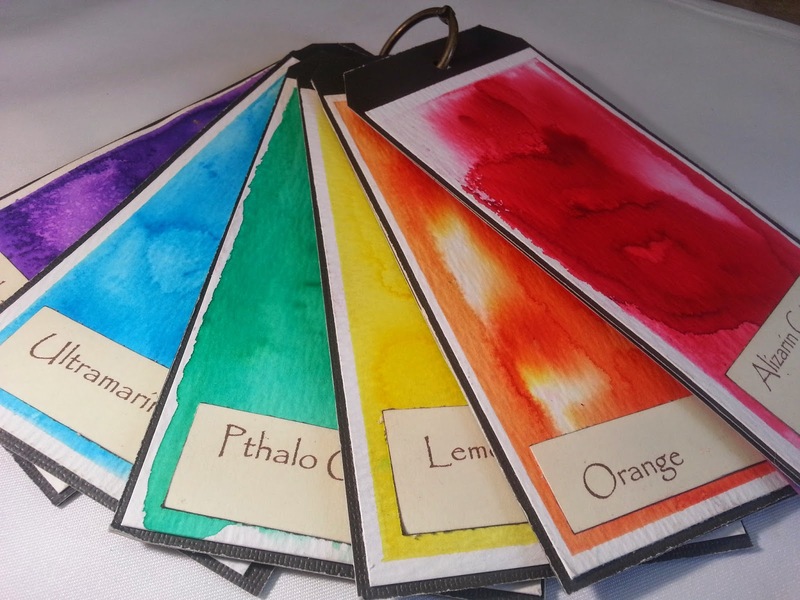 I would be a card making maniac with these awesome watercolors! I have watched a few videos spotlighting them and am mesmerized! Would be over the moon if I heard they were on their way to me! Thank you for the chance to win them! I am off to your new FB page to share, share, share!!! I would also use these to make unique tags and papers to construct 3D paper art creations! Imagine a tie dye hot air balloon in 3D! How fun this would be!! I wouldn't mind being random if it meant these were headed my way! Thanks again! 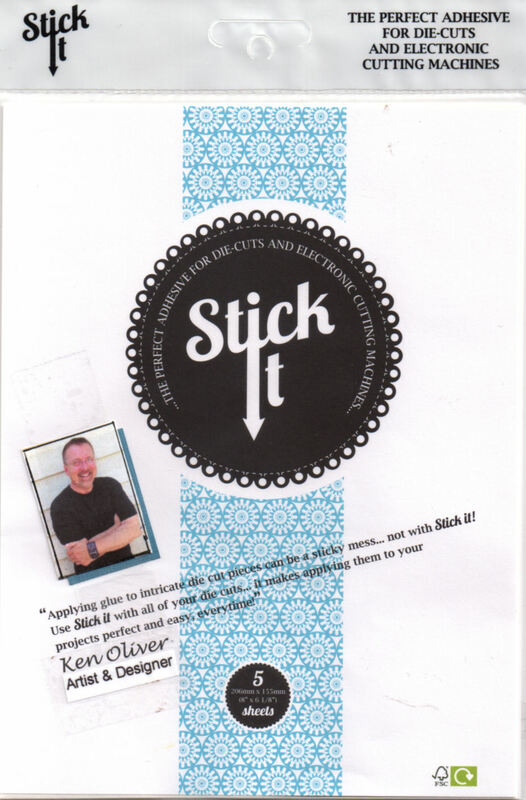 BTW I LOVELOVELOVE your Stick-it and use it exclusively for my die cutting needs! It is amazing! I would love to win, and use it on my mixed media canvas of my granddaughter, I think the colors would mix well, but if not will be buying them when I can. Good golly, yes! I'd love to win a set of Color Burst. Ever since you first introduced it I've been itching to get my creative claws on some. Please pick me! They are beautiful! What would I do with them? I guess the next 5k would have to be the Color Run and then I would use them to scrap some fun pages from the event with them! I have been loving watching you on your journey and you are awesome! These color bursts are so cool and would love to see what I can do with them on a canvas! Loving the colors. Hi Ken. I am so happy for you, and cannot wait to get my hands on your new product line. I would love to win this set of Color Burst. I am working on art journals these days, and would continue with more art pages inside. I love the experimentation process, and cannot wait to see how your Color Bursts work with other mixed media products. I'm excited to try these out for bold, beautiful backgrounds! I'm starting art journals this year (finally, right?) and I would love to use these in them!! Plus on cards, so pretty! I would live to create with these beautiful Color Bursts. The possibilities are endless. Wow, absolutely love these and that click it stamp, wow again!!! Would be great for my art journals!!! Would love to win these babies!!! I need to make some wall art for my craft room! These would be so much fun to use! Ken - I would love to win a set of Color Burst - I mean really, how awesome would that be? I love the tie-dye effect, and the flowers you made. I would like to win a set so I can make beautiful floral cards for spring... those flowers are gorgeous! I also have a friend who is teaching herself to paint. I think these would make some beautiful canvas backgrounds for her. 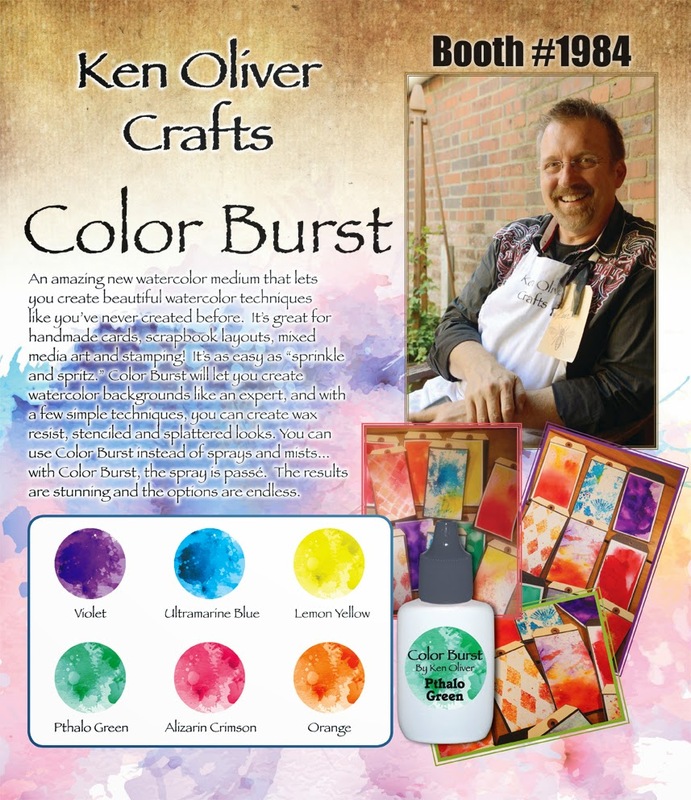 Ken...What a joy it would be to win a set of the new and fabulous Color Burst set! 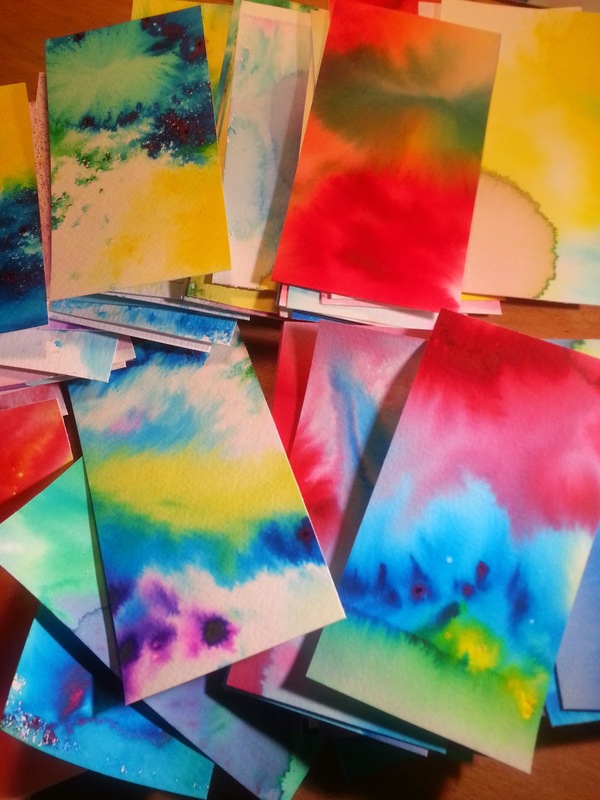 I would love to incorporate and experiment with these vibrant colors, using my Gelli plates. Perhaps do a Gelli print background and then add a stencil using the Color Burst on top of the Gelli print. The imagination is running wild!! Thank you Ken!!! From watching your videos and seeing the beautiful art you have created, why wouldn't anyone want this amazing product of "COLOR BURST"? I can see creating and using punches, background for cards and of course scrapbook pages. The list goes on and on!!!! I love the look of watercolors but just can't seem to master it. I am so excited about Color Burst! Along with ideas I have for papercrafting I also want to try them on muslin and other fabric for my sewing arts I do. Did I tell you that I am excited?!? Oh, my WOW!!! Super cool new products. I'm a card maker and making beautiful water colored backgrounds would be my first projects. Thanks for a chance to win. Super excited to have found you. I would love to win. All of the demos posted during CHA were amazing. I would make backgrounds for cards and scrapbook pages. I'm in love with these already and can't wait to try. I love experimenting with colors and Color Burst fits right in. I'd so love to have some of these to use myself and share with my 6 year old granddaughter who loves to craft too! I LOVE working with vibrant colors! The possibilities seem endless...Can't wait to give them a try! Wow! an opportunity to get my mitts on some awesome color goodness? Who could resist the possabilities for art journaling that your product offers? 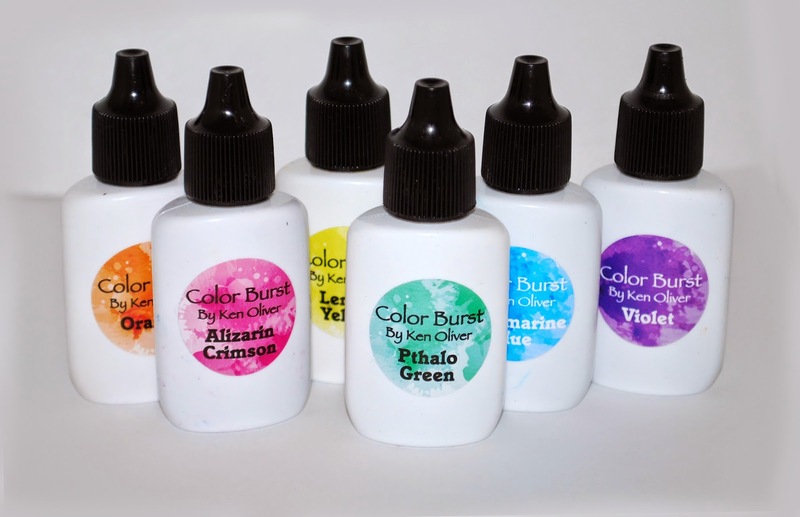 I would absolutely love to win these awesome Color Burst products by Ken Oliver! Oh what a wonderful thing to have & to use these would be. I would first make my plain paper look awesome with color burst beauty. I would let it dry & then I would cut it up & make cards , tags, flowers, butterflies stencils, ribbons, fabric & more. I would go Color Burst crazy ! I just watched this video & that stamp is awesome I love the way that you can get the edges of your paper just perfect. These are both great items ! Congratulations on all the nice things you have coming out ! Thank you for an opportunity to win these awesome Color Burst products! I would love to get my hands on these wonderful brilliant colors. Just loved them when I saw you demo them and can hardly wait for them!! Thanks for the opportunity to win them. I would love to make some cards for my nieces with these...they look so cool! Wow. 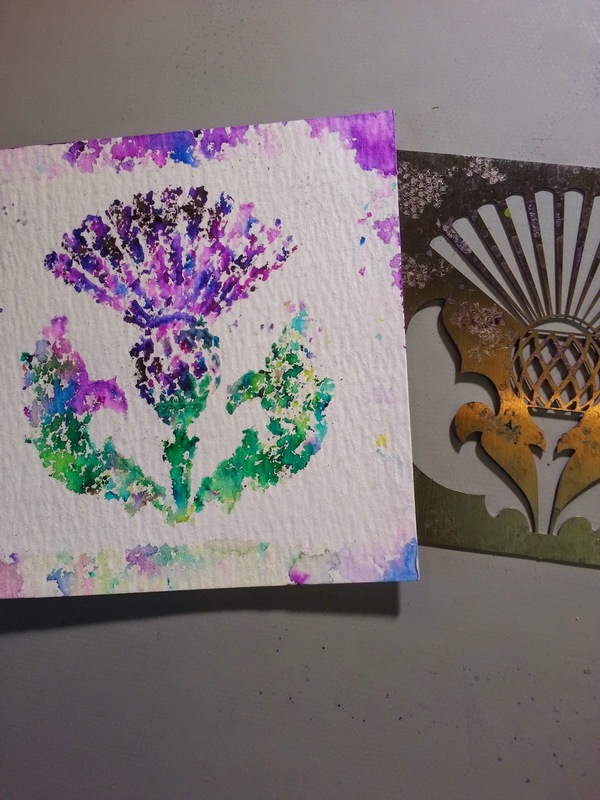 I'd love to try these to make cards and mixed media projects! Thanks for a great video too! I think I oculd make some really great ATCs with these for trading at ART IS YOU! Ken - you know I would LOVE to try out your new Color Burst product! I am thinking cards and tags especially, but I would love to play around with them and see the wide variety of things I can spritz and sprinkle! Look at those colors. I could have so much fun! I would use them on my daily card and tag projects,. I have stacks and stacks of various types of paper just waiting to be watercolored for background paper designs when I want something stamped onto a paper design I've made. The vivid colors and ease of use are exactly what I've been looking for my whole crafting life! And I want to make those papers at our store, Art 'n Soul, to demo for all of our customers so they can order these right away. Our customers LOVE watercolor techniques! Thanks so much for developing this new watercolor product. What beautiful colors!!!!! This would look amazing in journals. The colors are stunning. I would them to make backgrounds for cards and scrapbook layouts. I'm totally intrigued with the thought of what I could create with these!!!! What a new fun and exciting product!! I am so excited to try these....can't wait to find them in the stores....for cards, scrapbook layouts, bezel backgrounds, creative tags and so much more! I would LOVE to use these in my classroom.....my students love painting their own creations!!!! Oh the possibilities! Tags, backgrounds, ribbons and yarn, I'd like to see what it does on acrylics and glass. This is something I really want to try even if I don't win! I would love to try these out, learn somethin new! I so enjoy seein your posts and the things you do. This could work on tags, cards, backgrounds, sky's the limit! Very interesting to see your projects and posts each day. Wish I was closer to take advantage of some of your classes. Oh yes Ken! I'd love the set. I saw your demo-(on video) from CHA (from Suze) and was fascinated. I'd love to use them on some white fabric- I love making fabric art and they would be so fun to experiment with. To use this with some texture medium on a mixed media canvas would be awesome. Oh the things we could create! I would love to win these. Using it on cards and fabric & canvas the list is endless. Keep on creating such awesome products! You are so inspiring. Seems like such a cool product ! Watercolor is on top of the media I want to give more time to this year and yours look perfect to give it a go. I would play in my art journal firt before doing tags and mixed media with them I guess. I would love a chance to play with these. I love watercolor and these look like they produce bright, vibrant, yummy color! Cannot imagine the end of the creations with these. So many ideas, so little time. I know as soon as I try your Colorburst, I will love them! I love painting with watercolors and mostly, I want to get the grainy, tie die results for now but then is love to use them with some watercolor painting. Would love to make watercolor art for my walks! Love your products! Thank you for the opportunity to win your fabulous Color Bursts. The bright colors are refreshing and fun! I love to make mini albums, ATC's & tags. The colors would be fun on a huge sheet of watercolor paper and cut it up for backgrounds, die cuts, embossing folders, etc. Would LOVE to play with these. I'm thinking a big beautiful mixed media piece. So fun!!! Good luck everyone. Would so love to use these in my art journals! Wowzers! They look like fun and they're so vibrant! Please pick me. I need a new class to teach. The colors are brillant. They look easy to use. My students would live them. So fun to have new products to share. I think these would great to win and use in my mixed media backgrounds for a class I'm taking right now!!! I'd like to create some beautiful stationery and try to bring back the lost art of hand written letters. I love your inky fingers in the video btw! New place, new chapter in life, create something new!! These are the most fantastic watercolors I have seen. The colors are so very vibrant! Just looking at them is like a kid standing in the toy store eyes wide open and a huge smile. 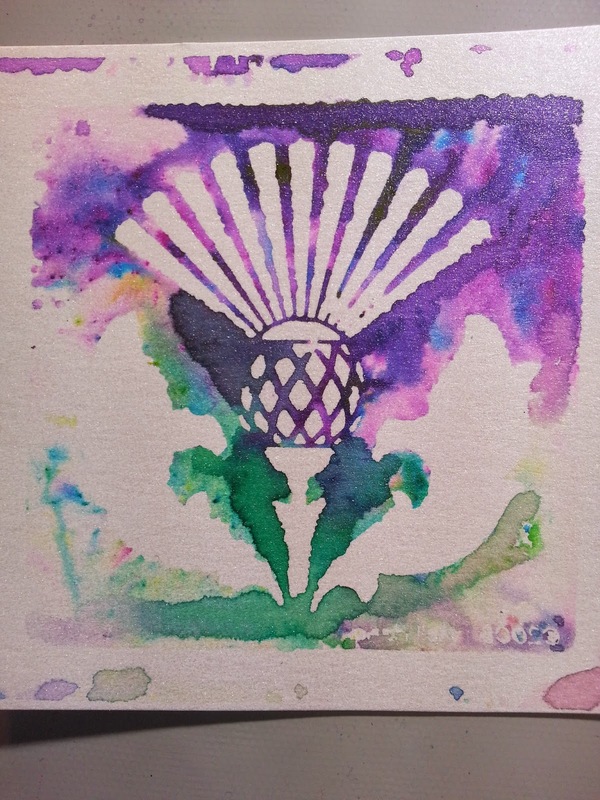 I have dabbled in watercolor painitng off and on for 13 years, mostly off as I got heavy into rubber stamping with inks. However since in highschool way back in 1969 I have wanted to paint with watercolors. My art teacher told me using watercolor medium was too hard and directed me toward acrylics. It was the sixties, and a teacher that was hip I guess because unless I painted weird, images, with off colors and non known items I could not get a good grade. I wanted to paint landscapes, plants and birds and animals in watercolor, still do and still have the hope of perhaps at least playing in water with lots of color. It would be an honor to show my friends all the beautiful new products that I've been telling them that 'my friend Ken' has come up with! Remember Carole McAllister will always sell your products by word of mouth! Awesome project. I think I would first experiment on tags then move onto canvases and other surfaces. I love to challenge myself to use products in unique ways. Yes yes yes please. I am no watercolorist but I love the look. What a fun and wonderful background for all of your stamped images. It would be so much fun to add that vibrant color to backgrounds and stamped images. It was fun to watch you play. Thanks for the great opportunity. would love to own a set of these. WOW.........fantastic product and chance to win!!! I would love to play with them on my scrapbooking pages and art journal........well wait, a canvas would be fun. Thank you for the chance!!! Sigh.... Everything I typed seemed to have disappeared. Anywhooo, I would love to get these colors but even if I don't win, I've got to get some. Me and my "mancrafter" husband are hoping that you visit our area in the near future! Can't wait to play with these!!! I would make some cards and scrapbook layouts!!! just waiting to get a chance to color burst onto the sceen with these and stencils that i'm just beginning to collect. I can use your Color Burst products to create fun combinations on heavy card stock that I would cut into hearts, stars and initials to add something special to my cards. Looks like fun! Ken, this is such a fun product. I would love a set! Thank you everyone for all your awesome comments and for playing along...this promotion is now closed and the winner (chosen completely at random) is Susan Rix! Congratulations Susan! Wow.. These are amazing...I hope I get to play with these one day with my mixed media projects. I would have loved to win these. Congrats to the winner. More FUN! More AMAZING FUN! Pretty darn awesome Ken...gotta have me some!!!! I would love to play with these with stencils and mixed media projects! Yes, I definitely want some. I use various types of watercolors and would love to try it out. From scarves to paintings this could be faster and that would mean more time to play. I would really love to try your product. I do some water color painting and I am avid card maker, so this new type of water color would fit right in, the sky is the limit. These look very much like Brusho colours that I've used for years. They are manufactured by an English company I think. Can you tell me what the difference is? Also, you mentioned going to the Craft hobby and stitch show, which stand are you on? I am going along and would love to meet you! Where should I start?? Maybe with some multi-media prints using Color Burst. Just what I need to fight the winter blahs!! I too would love to try this product. Beautiful colours. WOW! These look like a great way to loosen my work.